Here in Chattanooga, those for and against President Trump are squared over the questions raised by Comey. Specifically, did the President interfere with the Russia investigation in his dealings with Comey? 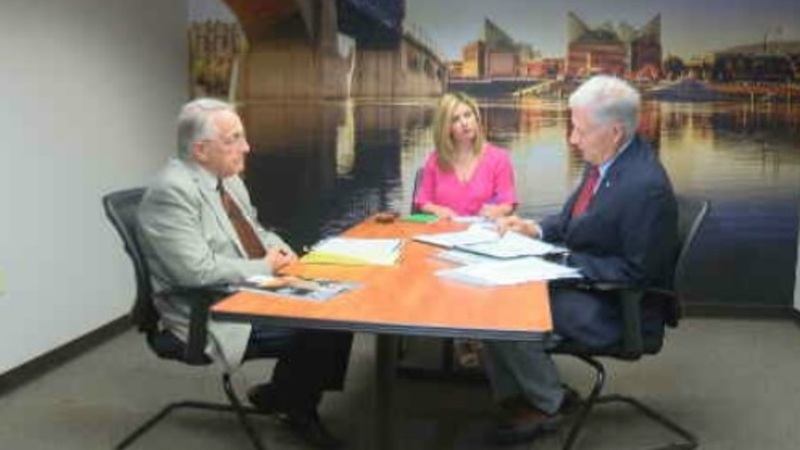 NewsChannel 9 brought together two Chattanooga attorneys with extensive courtroom experience to examine Comey's written testimony. Jerry Summers and Wayne Rich know each other well, having gone head to head in the courtroom many times over the last 20 years. At our request, Summers and Rich met again. Summers, a Democrat, is the prosecution. Rich, a member of Trump's leadership council, for the defense. Summer's opening statement is first. "I'm not a fan of Donald Trump because I'll be very honest with you, I think he is a spoiled billionaire brat and he has no experience in handling these matters," said Summers. But Summers stops short of accusing the President of breaking the law. "I just say let's let the chips fall where they may. It's too early in the investigation, that's my position," said Summers. Then Rich gets his turn. "The one point I agree with Mr. Summers on is believing in a thorough investigation, let the chips fall where they may. Anybody that's guilty of an offense against the United States will be vigorously prosecuted regardless of who they are," said Rich. Then the back-and-forth begins, with Summers attacking the President for the things he allegedly said in private to Comey. "In regard to the fact that I want statements being made and I want someone to be loyal to me and that sort of thing, bring up the Flynn matter and suggesting, at least implying circumstantially that he does not want him to be prosecuted, to me, it shows a lack of understanding the way the criminal justice system works," said Summers. But Rich says a conversation about loyalty is not necessarily an indication of coercion. That's a far cry from an obstruction of justice for somebody with specific intent, tell someone to do something or strongly suggest someone do something inappropriate," said Rich. He also said this in regards to Comey's allegations. "Three times, Mr. Comey volunteered to the president that the President was not under investigation himself. The President never asked him, am I under investigation, he volunteered at the President, frustrated because Mr. Comey wouldn't publicly announce that," said Rich. Then, it was time to close. Summers says he sees no smoking gun. "It's a circumstantial evidence case. It's he said versus he said and that's basically what I think the issue here today is aside of all the circus like propaganda that we have in these congressional hearings," said Summers. Rich finishes by quoting a well-known Harvard Law professor, who points out the special powers given only to the president. "He based that on the fact that the President has certain constitutional authority. He has a constitutional authority to pardon an individual, or in other words in this case, he could have said to Mr. Comey, stop your investigation, I'm pardoning Mr. Flynn. He didn't do that," said Rich. You can watch the full, unedited debate by clicking on the video below.